The PMG has two power module ports that allow the PMG to be configured to operate from various power options. 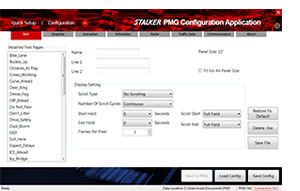 The PMG can be powered by any single or combination of two of these four methods depending on ordering options. The PMG will collect traffic statistics at the same time it is performing its messaging operation. The PMG has enough internal storage memory (up to 64 GB) to collect and retain this data for months in heavy traffic. An all white “flash” slows traffic as motorists believe they have been photographed. 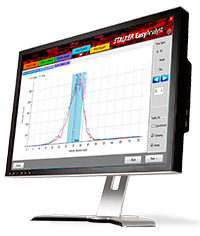 Statistical Tracking capability 10 vehicles simult. 10 vehicles simult. 10 vehicles simult. 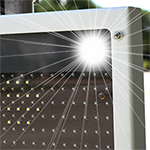 Stalker Radar introduces new X-Series traffic speed enforcement LIDARs. The LIDAR X-Series is designed and manufactured exclusively by Stalker Radar, the World Leader in Speed Measurement. 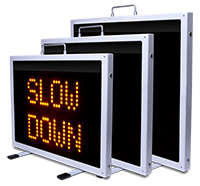 Law enforcement organizations, professional sports teams, and manufacturers around the globe requiring state of the art speed measurement applications look to Stalker Radar products for the utmost in quality and value.